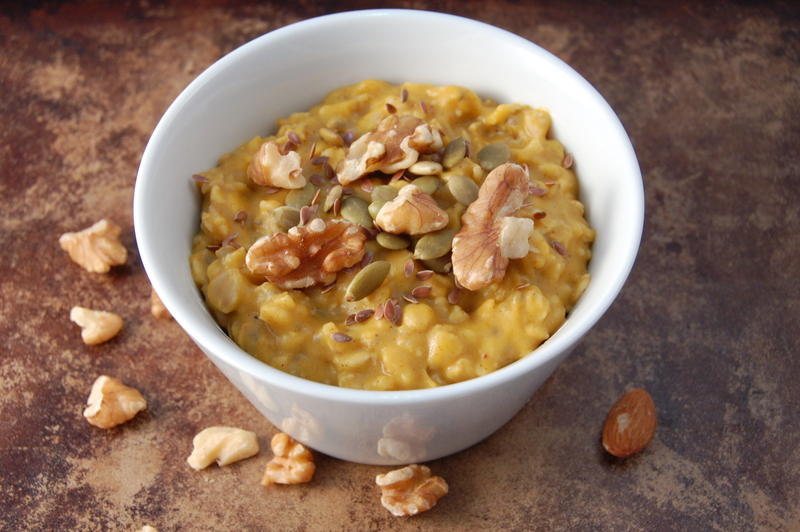 This hearty breakfast oatmeal is loaded with blood sugar balancing ingredients. Rolled oats can play an important role in effectively lowering your blood sugar and improving insulin resistance. Ceylon cinnamon, also called “true cinnamon,” has beneficial effects on blood sugar by stimulating insulin receptors and inhibiting an enzyme that stops them from working. 1Place a medium pot over medium high heat. 2Add oatmeal and milk to the pot and bring to a simmer. Simmer for 6 minutes. 3Add in pumpkin, chia, cinnamon, allspice and nutmeg and continue cooking for an additional 6 minutes. 4Remove from heat and stir in vanilla and butter.